At the time of writing this guide, Saucony is the model running shoe company. A birds-eye view of its assortment shows you that the brand offers something for everyone. Are you looking for a road-racer? There are a couple of good ones. Cross country and track spikes? Sure. How about a cushioned trainer? Take your pick. Low drop shoes? Plenty. And if you want a medially-posted support shoe, there’s no dearth of those either. Saucony maintains a fine balance between style and performance. Their running shoes don’t look stodgy; Saucony makes good use of materials and clean visual lines to make their products appealing. They have a reliable cushioning system too. The Everun foam has proved to be a worthy replacement to its Powergrid foam platform. Everun is made of e-TPU, the same base compound as the adidas Boost. We like the judicious manner in which Saucony uses Everun. On lighter models, Everun is used only as a secondary insole (aka the Topsole) over an EVA midsole. This arrangement provides top-layer responsiveness without incurring a weight penalty. At the same time, full-length Everun is used where it is relevant. 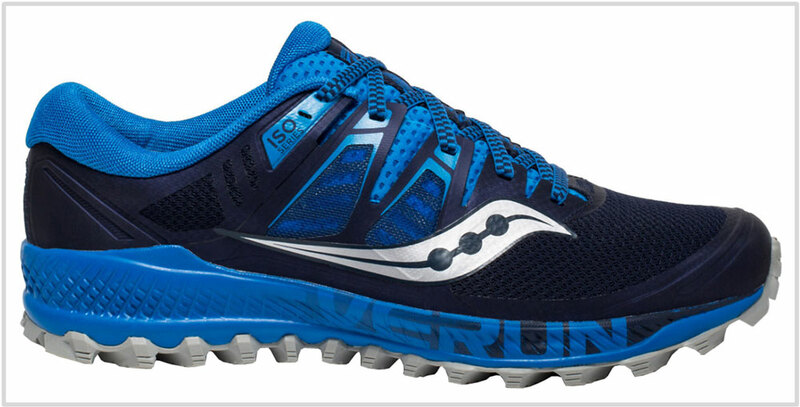 The Triumph ISO and Hurricane ISO are Saucony’s premium neutral and support shoes so they have Everun midsoles. The Freedom and Liberty ISO use a lower-profile midsole so you get the complete Everun experience minus the bulk. Product messaging is an area where Saucony scores well. 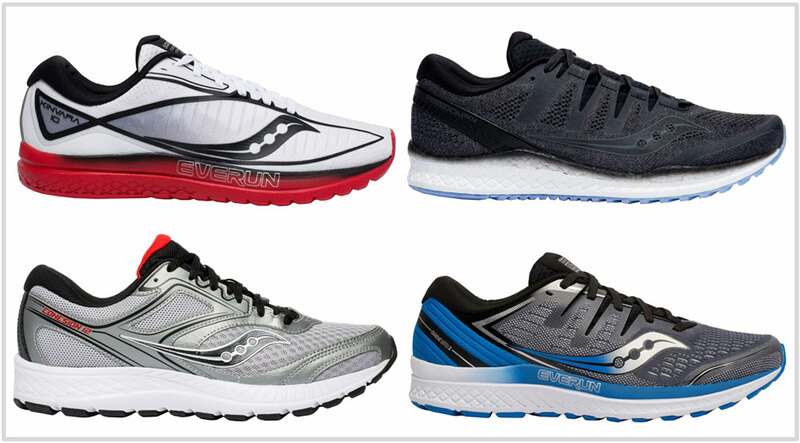 Shoe series like the Triumph, Ride, Guide, and the Kinvara have consistently been a part of Saucony’s line. The published heel drops have also remained constant – 8 mm for the regular trainers, 4 mm for the Kinvara and so forth. It’s unrealistic to expect the Triumph ISO 5 to be anything like the Triumph 11. Regardless, Saucony tries its best to interpret the shoe within the context of the modern shoe industry. Not all updates are improvements; the frequent update cadence leads to an ebb and flow where not all new features hit a home run. The ISOFIT upper is a good example. Beginning with the first iteration, the strap-based upper has struggled to find the sweet spot between perfect fit and the right use of layering. ISOFIT works better on simpler upper designs such as the Freedom and Switchback ISO where the materials used are thinner. On shoes such as the Guide, Triumph, and Ride, the ISOFIT makes the midfoot feel too bulky. These models would definitely benefit from a smarter design. Also, ISOFIT is retrofitted in shoes where it has no business being. Look no further than the new Peregrine. The Peregrine 6 and 7 were great; the 8’s upper was average. The Peregrine adopts a standard ISOFIT template, thus achieving the opposite effect – which is not securing the foot as well as the 7 did. Otherwise, the grip and ride are excellent – so the new Peregrine wastes its potential by using ISOFIT. The ISOFIT concept isn’t an issue per se; its execution is. Many brands use strap-based midfoot panels which add value instead of being a distraction. Hopefully, Saucony should be able to find a good middle ground whilst staying true to its design goals. 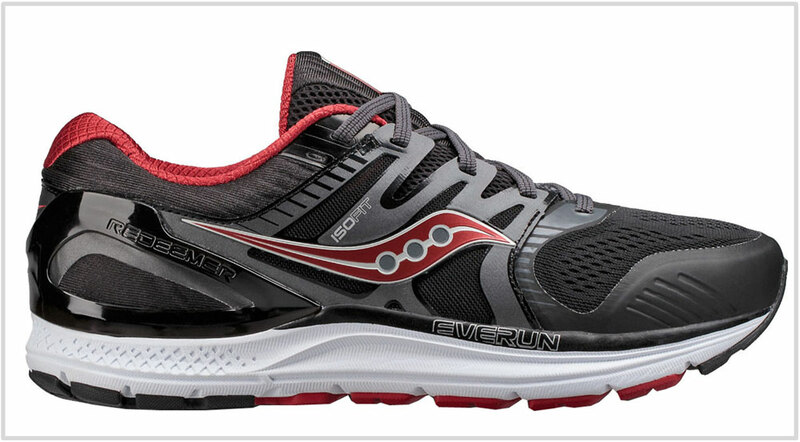 Saucony’s consistency with its product nomenclature reflects in this buyer’s guide. While most of the shoes have familiar names – they aren’t necessarily the same shoes from years ago. 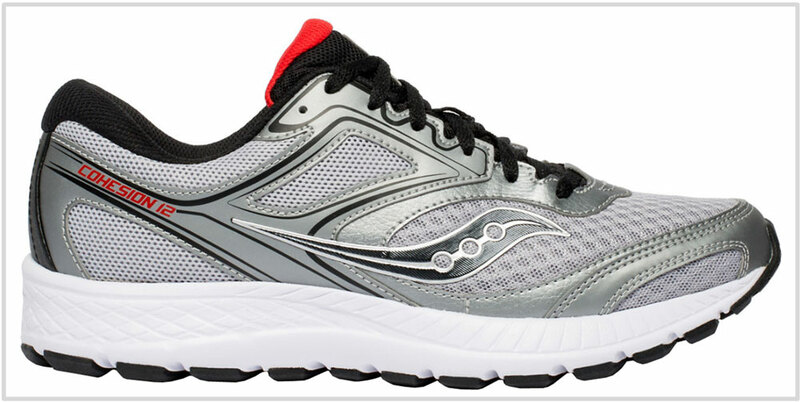 Some shoes have new midsoles, and most now come with Saucony’s one-trick pony – the hit or miss ISOFIT upper. If you’re asked to name five popular neutral running shoes, you’re likely to mention the Ride ISO. The Ride is for Saucony what the Ghost is for Brooks or the Pegasus for Nike. The Ride is a versatile, do-it-all neutral trainer for runners of all classes. The Ride has a single-density EVA foam midsole which delivers a cushioned and efficient ride. Saucony hasn’t gone overboard with the softness; the ride has a tinge of firmness which is good when you’re trying to build up speed. The ISOFIT upper is softer than the older Ride versions and requires no break-in period. The strappy midfoot fit is yet to grow on us; the rest of the upper fits well with a true-to-size profile. The Ride ISO is an excellent alternative to the Triumph if the latter’s Everun midsole doesn’t cut it for you. Few shoes in Saucony’s line have gone through as much change as the Triumph. The full-length Everun midsole is the fourth cushioning update in five years. Though the ISOFIT upper has been a constant fixture for the past four years, there have been numerous tweaks made to it. So what is the final product like? The Triumph ISO 5 is a premium cushioned neutral trainer which divides opinion among Saucony loyalists. Some like the softer ride of the non-Everun Triumph. Others find the durable Everun midsole a better performer. Regardless of which camp you’re in, the Triumph ISO 5 offers plenty of cushioning for daily miles. In addition to the midsole, there’s an Everun topsole and a molded insole under the foot. The ISO 5 is an 11-ounce shoe, so it’s unlikely to be your shoe of choice for fast runs – it’s best used for relaxed paces. Though the ISO 5 features a similar looking midsole as the ISO 4, the Everun part is thicker. The outsole is thinner but with increased durability. The blown rubber parts are replaced with the translucent rubber – the same as the Freedom. So the result is a more cushioned ride than the 4. The less than ideal ISOFIT still features on the ISO 5’s upper. That being said, the new design features cleaner aesthetics, better ventilation, and an updated heel collar. The Freedom was Saucony’s first shoe to feature a full-length Everun midsole. The 4 mm drop midsole has a cushioned and responsive ride, and the clear rubber outsole is very durable. 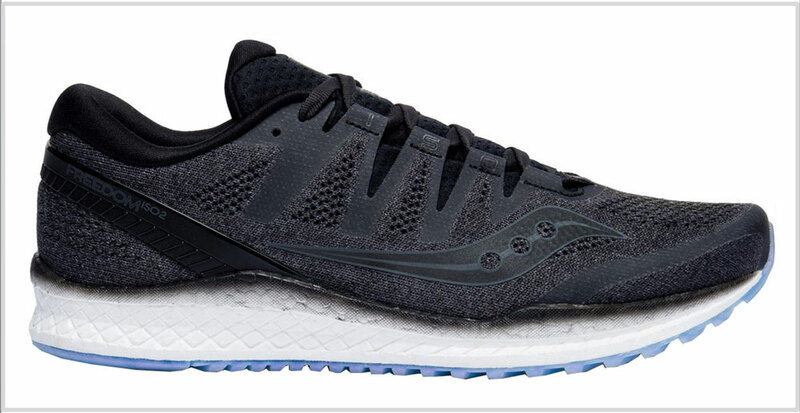 The Freedom’s lightweight (9-ounce) build quality makes it suitable for fast training runs, and its cushioned midsole makes it a versatile daily trainer. If you want the complete Everun experience without the baggage of the Triumph, then put the Freedom ISO 2 on your list. Also see: The Liberty ISO. Most people will not even remember how the early Kinvara’s looked or felt like. Over the years, the Kinvara design has followed a bell curve of sorts. It started as a firm lightweight neutral trainer with a race-shoe like upper. Then it became this over-engineered blob of softness with Pro-lock and what not. The Kinvara 10 is a homage to its roots. The upper reverts back to a minimal construction – there’s no Prolock making the upper feel bulky. The mesh is lightweight, breathable, and the upper fits extremely well and true to size. The ride is cushioned and slightly responsive – we have to remember that the earlier Kinvaras had a heel-only Powergrid insert. All recent Kinvaras use a full-length Everun Topsole which turns the ride softer. There’s little anyone can do about it – it is unrealistic to expect the same ride as the Kinvaras 1-3. The changes aside, it’s hard to beat the Kinvara 10 when it comes to a low-drop, sub 8-ounce cushioned trainer. There’re simply not many of those around. We say this with absolute confidence – of all the shoes sold by the top-ten athletic footwear brands, the $60 Cohesion delivers the most value for money. This budget neutral trainer fits well, and the materials do not feel cheap. The injection-molded EVA midsole keeps the shoe under 10 ounces while delivering a cushioned and supportive ride. Also see: The Cohesion TR 12 – a rugged, off-road doppelganger. The Type A8 is one level more cushioned than a full-blown racing flat. At an MSRP of $100, the A8 is excellent value. The lightweight upper fits and feels great, and the resilient midsole provides a fast and cushioned ride. Combine the minimal upper and the 4 mm drop midsole, and you have the 5.9-ounce Type A8. An absolute must-have if you want a shoe for fast training runs or races. There’s a max stability shoe in most brands. For Saucony, that shoe happens to be the Redeemer ISO 2. Cushioning and support are delivered by a humongous midsole with an ultra-wide outsole footprint. If want a medial-post, the Redeemer gives you that and then some. A hard foam wedge makes the inner midsole a lot firmer without being conspicuous during runs. The plastic heel frame on the upper acts as an extension of the medial post. The Redeemer has a super cushy removable insole which takes the edge off the firm midsole. If you want to pop in an aftermarket Orthoses, the Redeemer ISO 2 is the shoe which will take it. Also see: The Hurricane ISO 5, Echelon 7. The Guide is the mild-support version of the Ride ISO. It has a firmer ride along with a medial post which makes the inner midsole supportive. The rest of the shoe will feel familiar if you have experience with the previous model. We also recommend the Guide ISO 2 to anybody who wants a more supportive and firmer avatar of the Ride. Despite its medial post, the Guide ISO 2’s ride has a balanced quality. Thus, it works equally well for runners regardless of their neutral or support shoe preference. One more thing – the Everun Topsole is more effective on the Guide than the Ride ISO. Reason being, the Guide has a firm midsole under the Topsole – this allows the Everun layer to compress to its fullest extent. The Fastwitch 9’s upper and midsole is redesigned from the ground up. The new Fastwitch is a better Fastwitch; the extremely lightweight upper has a conforming fit and breathes well. The midsole is all business, relying on a standard EVA configuration and no Everun. This gives the shoe excellent ground feel and economy. There’s a medial post but like the New Balance 1500, but it is barely noticeable. The outsole uses the sticky Pwrtrac rubber compound, the same material used in most Saucony trail running shoes. Saucony charges $10 more for the new Fastwitch but it is still a good buy. The Peregrine is on this guide, but with a caveat. There is no question that the ISO version has a great PwrTrac outsole and midsole. A densely populated colony of rubber lugs provide off-road traction in abundance. Above it, the EVA midsole and Everun layer provide cushioning over uneven running surfaces. As we said, the ISOFIT execution on the Peregrine could have been a lot better. Saucony simply transplanted their road design on to a trail running shoe. Instead, they could have looked to the Salomon S/Lab Ultra’s upper for inspiration. Much like the ISOFIT, the S/Lab uses dual straps and speed loops with much better results. We understand that the Salomon shoe is 50% more expensive but there’s definitely some inspiration there for Saucony to tap into. 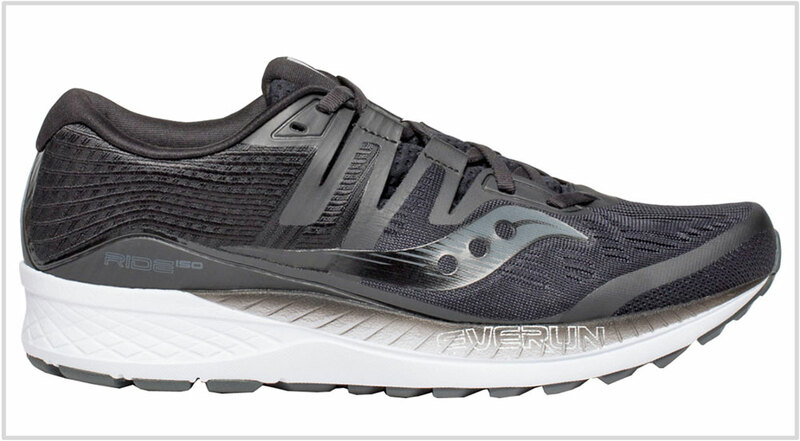 Even Saucony’s own Switchback ISO has a better upper design. The reason why we recommend the Peregrine over the Switchback because the latter is a soft-roader – the forefoot isn’t as well protected as the Peregrine. But if your runs involve grass and dry trails without pointy obstacles, then the Switchback ISO is an excellent choice. To sum up – the Peregrine ISO is a decent trail shoe at the price, but it is less serious compared to the Peregrine 6 and 7.